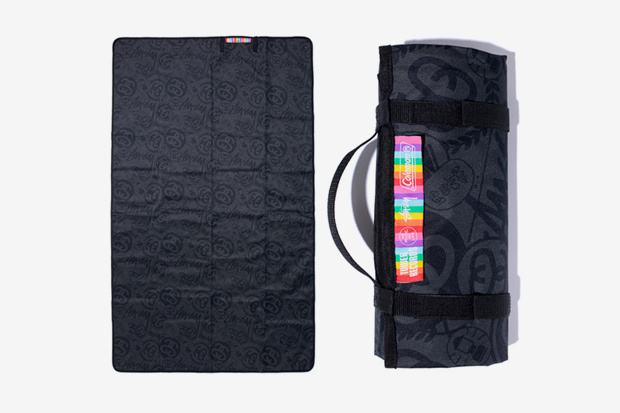 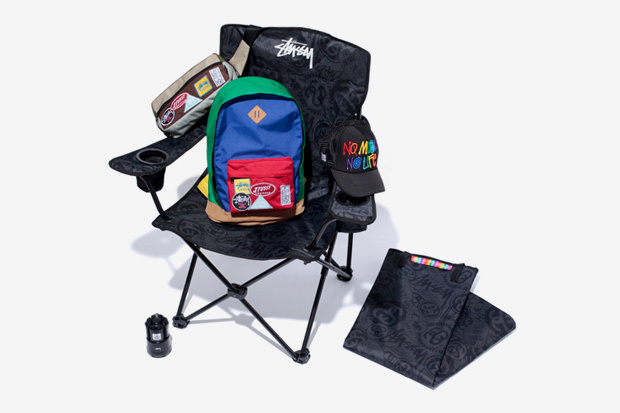 Just in time for the summer festival season comes this special collection of goods from Stussy in collaboration with Tower Records, Coleman and MEI. 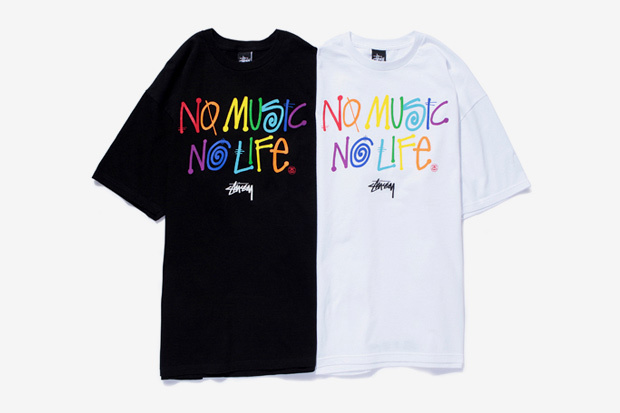 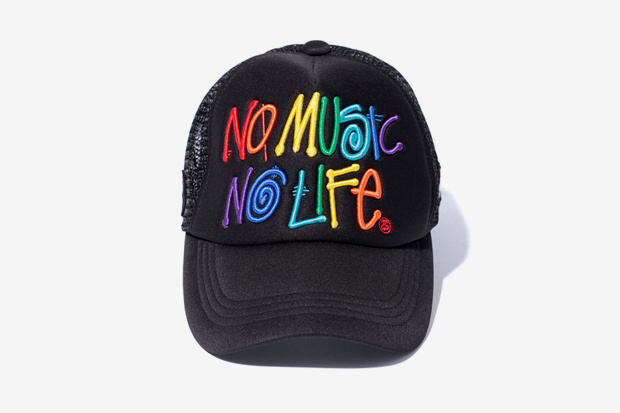 A range of apparel and accessories from Stussy x Tower Records includes graphic tee shirts and a colorful hat with rainbow embroidery that bear the slogan, “No Music No Life.” Stussy x Tower Records x Coleman also produced a coordinating set of lounge equipment including a collapsible lawn chair with a built-in cup holder and carrying case, a water resistant ground sheet, and a miniature LED lantern. 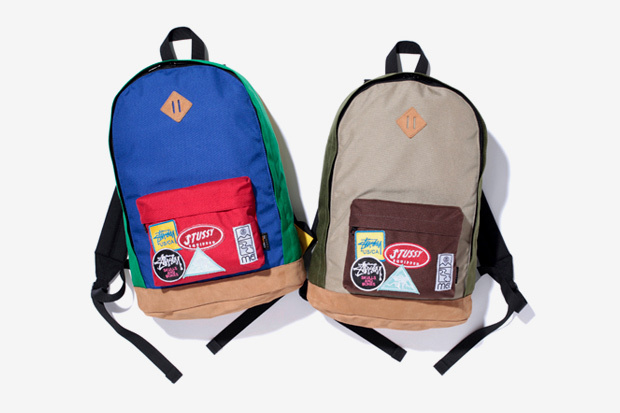 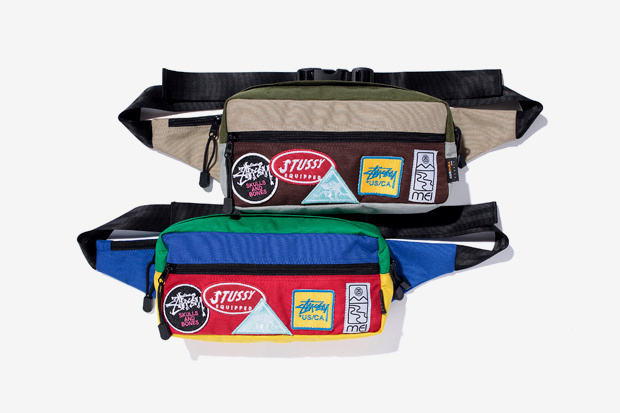 Outdoor label MEI joined in on the action, too, by teaming up with Stussy to design a bespoke backpack and waistbag with retro patches and design. 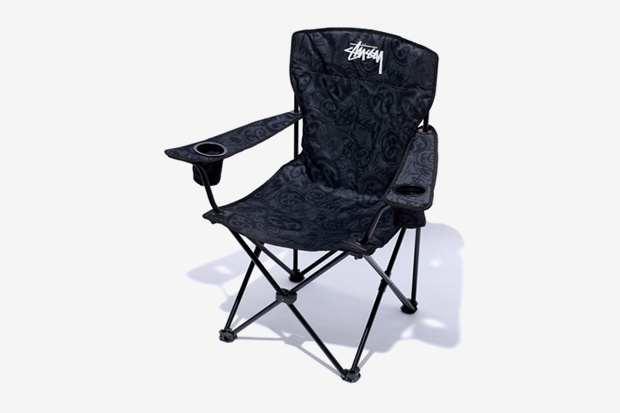 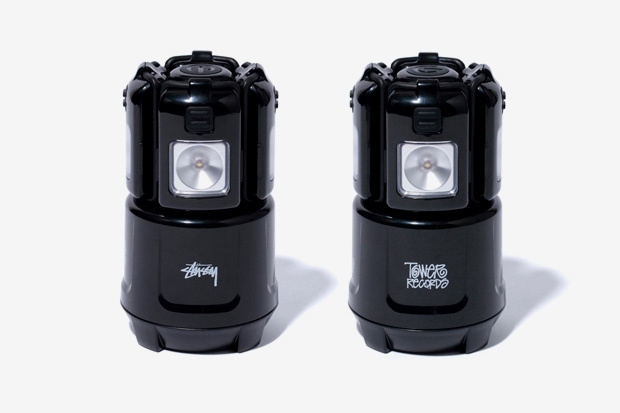 The collection will be available for purchase soon through select Stussy locations.